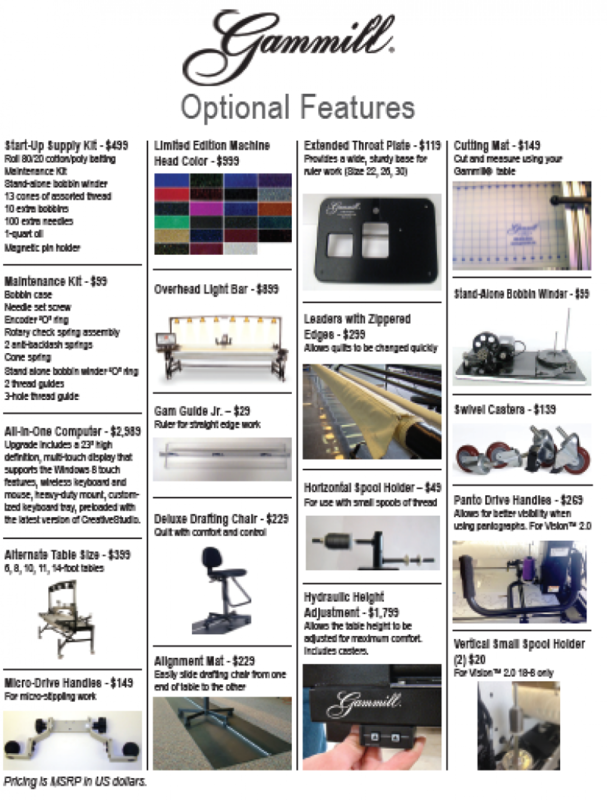 We have a number of optional equipment parts that can be added to your Gammill Longarm either at the time of the original order or as a retrofit to existing equipment. The Quilting Page also carries a number of repair parts and handy longarm tools. Please call first If you need a specific repair part. We will make sure that we have it in stock or will help in the order process.